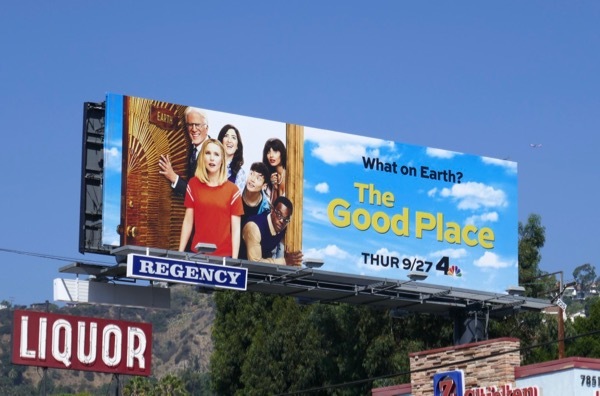 Fork yeah, The Good Place is back for a third season of devilish comedy on NBC. In the first two seasons of the afterlife comedy we learned that Kristen Bell's 'Eleanor Shellstrop' (along with William Jackson Harper, Jameela Jamil and Manny Jacinto) were not actually in Heaven but somewhere more hellish. Ted Danson was the architect of their seeming nirvana, aided by D'Arcy Carden's A.I. program 'Janet', but after finding out their true situation and having their minds rebooted over and over, they were granted a second chance on Earth with their memories wiped. 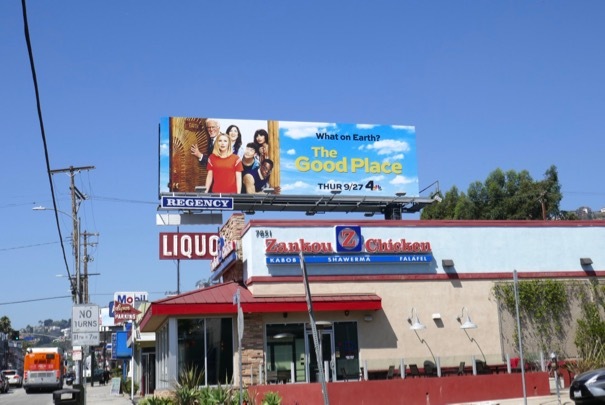 This season three billboard was snapped along Sunset Boulevard on September 7, 2018, plus fans of the show can also check out these previous season promo billboards for The Good Place. 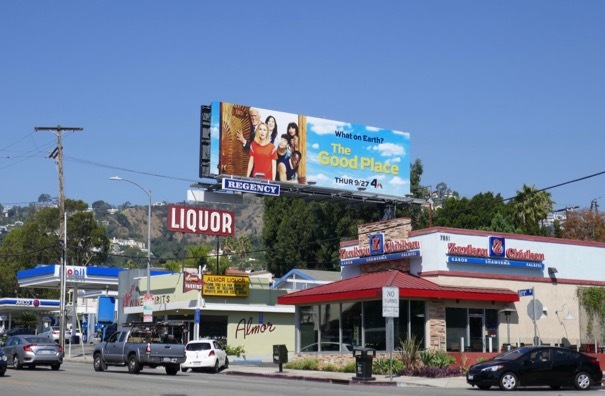 Meanwhile for more Kristen Bell be sure to take a look at these film billboards for Like Father and these House of Lies billboards. 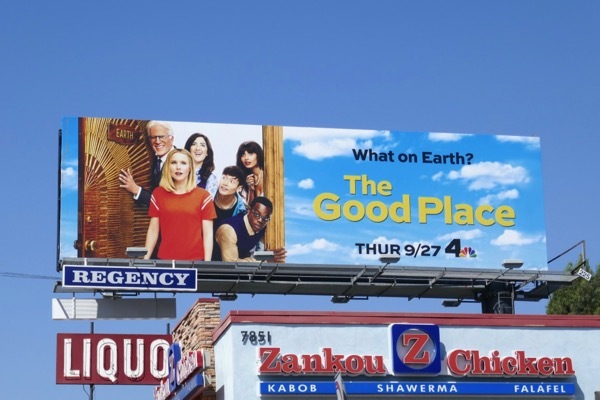 From The Good Place to The Bad Place and now Earth, can all these damned should find each other again.